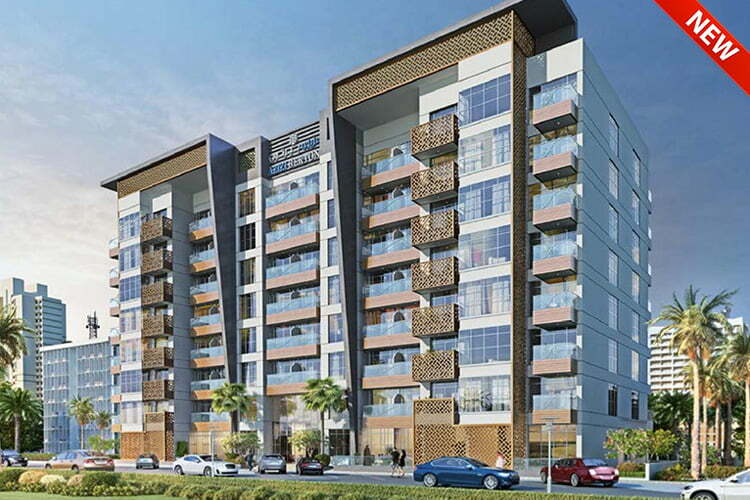 Azizi Mirage is your new home in Studio City, Dubai’s very own production hub with studios, sound stages, backlots and sets, all sprawled over 22 million sqft. 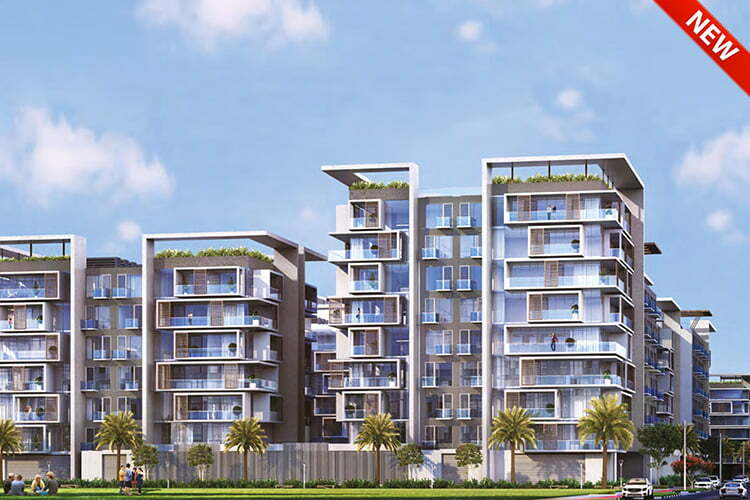 Azizi Mirage 1 is designed to t right into this bustling hub with its futuristic deconstructed, at crystalline façade and angular terraces and balconies. 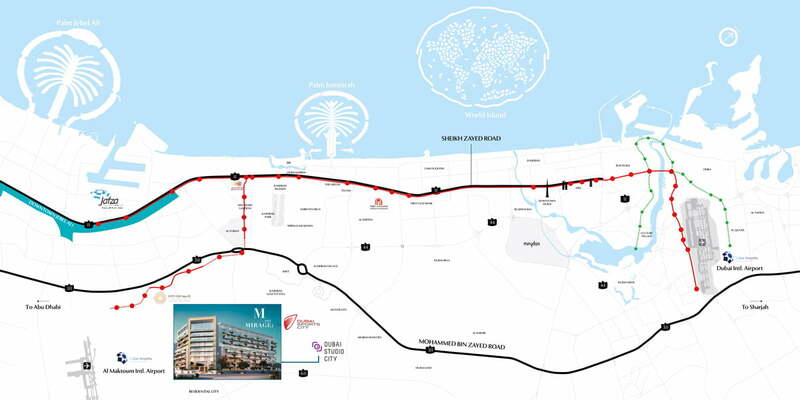 The total built-up area of Azizi Mirage 1 is over 300,000sqft, sporting a basement, ground level podium and eight oors of apartments – 186 in total. 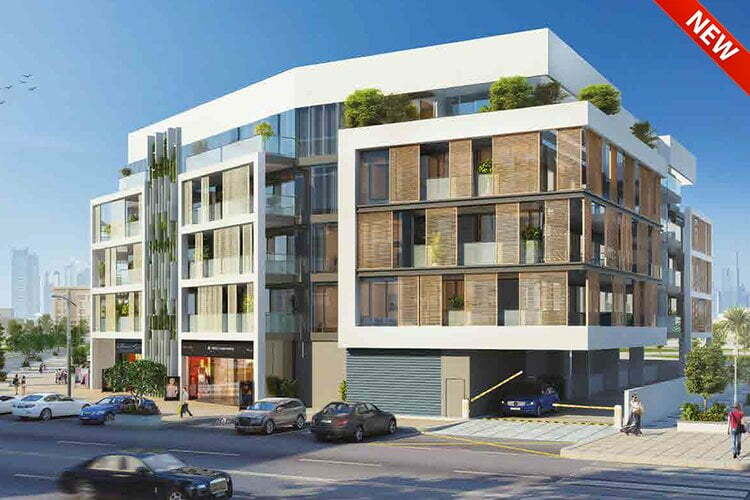 There are 113 one-bedroom, 69 two-bedroom and four three-bedroom apartments to choose from. The apartments are built for spaciousness and comfort, with even one-bedroom apartments o ering plenty of room – at just under 850sqft, it is larger than normal. Three-bedroom apartments o er over 2,000sqft of space! 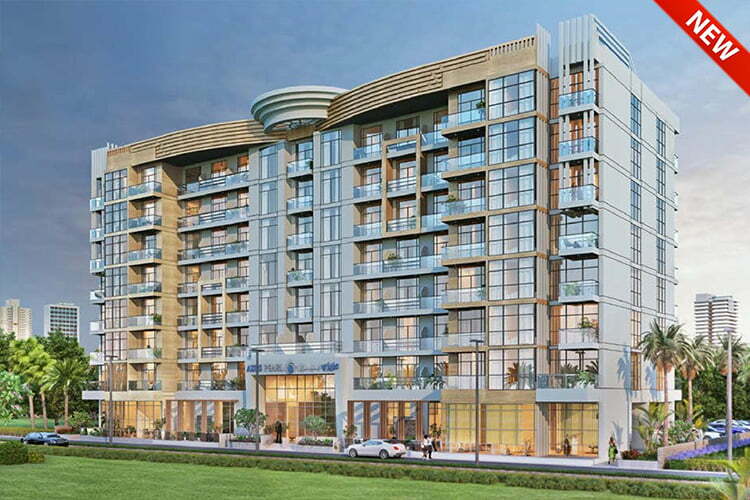 Azizi Mirage 1 also boasts a swimming pool and tness centre. 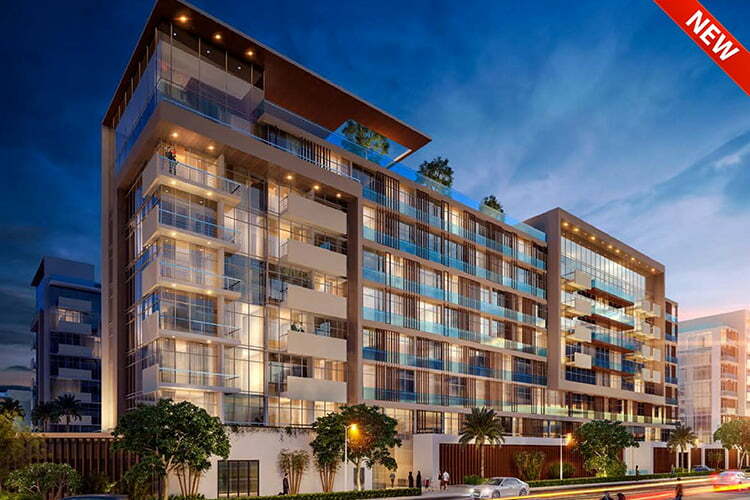 The terraces incorporate greenery, with guaranteed privacy and views of greenery around. Azizi Mirage is your new home in Studio City, Dubai’s very own production hub with studios, sound stages, backlots and sets, all sprawled over 22 million sqft. 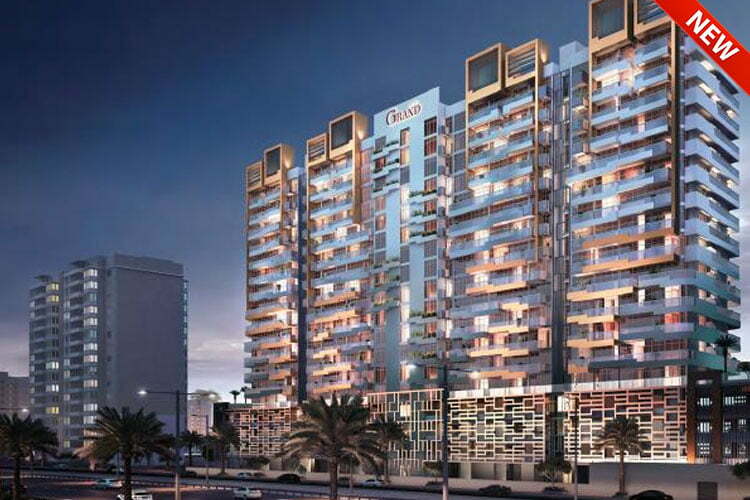 Azizi Mirage 1 is designed to t right into this bustling hub with its futuristic deconstructed, at crystalline façade and angular terraces and balconies.